It’s funny how ‘the past’ can make people nervous, and particularly when it comes to branding. In many businesses, bother about future earnings, laser focus on the forthcoming plan, hitting the 12 month targets, the past is forgotten in a ‘what’s next’ culture. Worse, the past is perceived as tarnished: belonging to a previous generation of employees, something to be brushed off and moved on from. Consumers don’t see a brand that way. To them, the brand is one of many strands of dialogue in their life that fit into the weave and weft of their lives. It may be a significant one, probably it’s not, but it’s there all the same, with a map of emotions, associations, semiotics and memories. For many, your brand may trigger a ‘Madeleine Moment’ – an mental image that springs to mind when they see your brand. A brand can’t be wistful or nostalgic though. This isn’t a call to sit back and rest on successes of yesteryear. This is a call to identify, understand and repurpose the brand’s past to create a new narrative for the future. 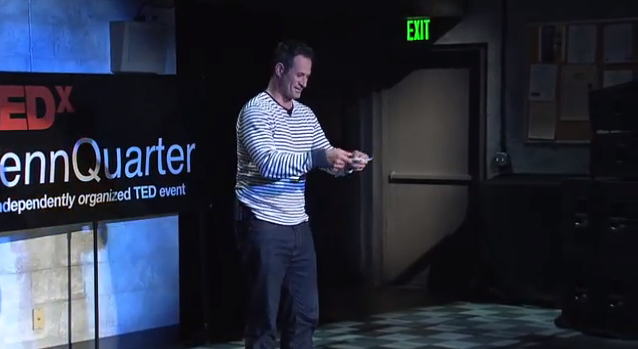 In this clip, Sam Calagione, the founder and owner of Dogfish Head Brewery in Delaware, talks about how he used the past not just to inspire the idea of his business, but also how he used (and uses it now) to differentiate the company and each brand. Dogfish Head today are one of the larger and certainly most successful and talked about drinks companies in the U.S.
It’s worth thinking about: your future may lie behind you. David Preston is founder of The Crow Flies, a research, strategy and innovation company that finds the direct route to success for categories and brands. We use the past to understand today and fuel the future. Please get in touch at david@thecrowflies.co.uk or +44 (0) 7885 408367 to chat further. ← Can you risk being purposeless?